Welcome to the Little Bighorn History Alliance! The Battle of the Little Bighorn was the most successful action fought by the American Indians against the United States Army in the West. It was part of the Campaign of 1876, an effort by the United States Government to force the Sioux tribes onto their Reservations. The Indians' defeat of the finest cavalry unit in the United States Army had the same shocking effect then as the Challenger explosion had on the nation in 1986. It simply was not supposed to happen. The events surrounding the Battle of the Little Bighorn have fascinated amateur and professional historians for 130 years, principally because of its many mysteries. 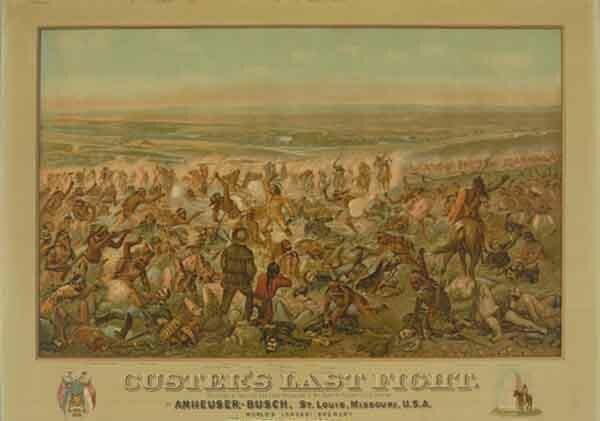 While we will never know exactly what happened at "Custer's Last Stand," there is more than enough information for conjecture and debate. In fact, this intriguing battle has been the subject of countless books, articles, movies, television programs, poems, songs, and websites. The National Park Service's guidebook, Custer Battlefield, provides an excellent overview of the events leading up to and including the battle and its aftermath. Click cover to read. It is hoped that this website will be a portal of exploration for groups and individuals who share an interest in the Battle of the Little Bighorn. I welcome all information concerning books, conferences, and anything else related to the period. This website will always be a work in progress, so I invite you to visit often!